Believe it or not, you depend on testimonials every day. When your friends are excited about this new app, the next thing you do is download it. When your cousin says a tool makes he/she productive, the next thing you do is sign up for a free trial. You want to try new things because you want better results. However, this comes with a risk. There’s a risk of failing. There’s a risk of wasting money or time or both. Testimonials from people you trust take away some of these risks. Web users need testimonials too. Show testimonials from customers visitors can trust. Shopify does this on its home page. Testimonials like this lead to conversions. Web users visit sites like Amazon, TripAdvisor, and Yelp because they have great review systems. Prospects can read what customers are saying about a product. It’s rare to see a web user buys the first time they come across a product or service. Web users take their time to vet merchants, their products, services and customer experiences. They pay attention to everything they see. For example, these testimonials on Quip are bad. Quip is an online merchant that sells Electric toothbrush. These testimonials don’t look credible. There’s little information about the customers who gave these reviews. Anyone could’ve made up those testimonials. Compare those reviews to the ones you’ll find on a site like Highya. Highya wrote about Quip on its site, and the reviews look more trustworthy than the original merchant. These reviews contain more information about the reviewer. 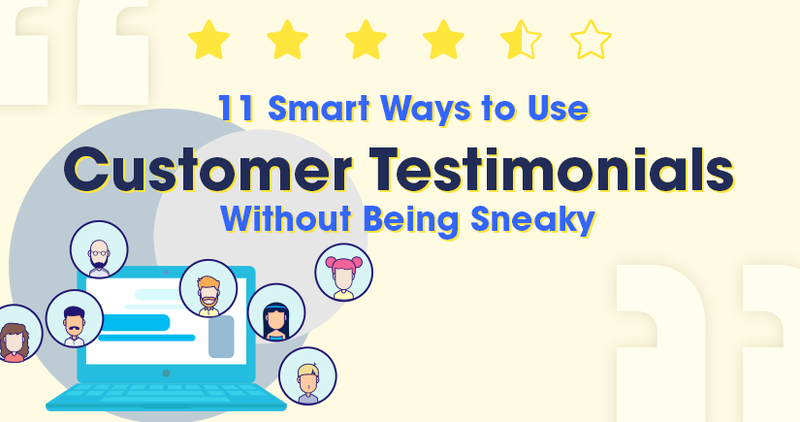 How can you use customer testimonials to sell more of your products or services without being sneaky? There are 11 smart ways to use customer testimonials online. Case studies are a great way to persuade people to buy your product. Choose one of your customers who are happy with your product or service and willing to participate in a case study. The customer you choose should be someone who uses your product frequently. Don’t select a customer who rarely uses your product. This is very important. Your case study should be authentic for it to be effective. 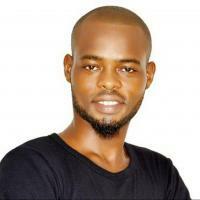 The customer should also have achieved dramatic results with your help. Customers like this shouldn’t be hard to find if you’re truly selling a great product. What are the problems a customer have before using your product or service? How did your product help them fix the problem? How long did it take? Give prospects as much information about the problem as possible. The results you helped clients achieve speak volumes. After you’ve completed writing the case study, give it a good name. The title should be catchy. It may include the name of the client or customer. Or, their company name. A good title should state who the customer is, how your product helped them and the results they achieved. Below is a good headline for a case study. A full 29% of marketers judge their marketing success based on their subscribers count. Your subscribers count number is an important metric you should be watching. Because email marketing beats other marketing channels in terms of revenue. You can use testimonials to build your email list. For example, you can include customer testimonials in your popup. Including a testimonial to your popup will encourage visitors to sign up. When people see that customers are benefiting from subscribing to your email list and buying your product, they are more likely to want to join. Popups are still pretty effective. That is why you still see them everywhere online. Food blogger Nikki McGonigal put a popup on her site’s sidebar. Her email opt-ins grew by a 1,375% as a result. You can use a powerful popup technology like GrowthFunnel to build your email list very fast. GrowthFunnel lets you build a conversion funnel for your popup. The funnel works like this. Prospects see a popup asking them for their email addresses in the first step of the conversion funnel. You may add a mouth-watering offer backed by a customer testimonial to make your message more compelling. In their second visit in the funnel, prospects see a popup asking them to follow your brand on social media. You may use a testimonial here again. And in the third visit in the funnel, prospects see another popup asking them to share, tweet or like your update on social media. When you use customer testimonials with popups built with a technology such as GrowthFunnel, the results are amazing. It’s free to start using GrowthFunnel. You can sign up here. Make sure you use testimonials in your popups. If you take a quick scroll on your Twitter Timeline, Facebook, and Instagram Newsfeeds, you’ll notice something you probably already know. Web users love inspirational quotes. On Twitter, I follow a number of accounts that share quotes on the platform. As someone who’s learning how to code, I follow Programming Wisdom on Twitter, where I read nice quotes about coding. Here’s one recent update that got my attention and inspired me to learn even harder. Quotes receive lots of likes on Twitter because people like them. But people also want to read quotes from your current customers too. Great quotes from your customers will spur prospects to take action and buy your products. For example, Thomas Edison’s quote, “I have not failed. I’ve just found 10,000 ways that won’t work,” makes people work harder and fail more. Shopify uses quotes from customers on its site. No doubt that quotes like these help prospects convert on the site. Most people like new things because they are simply new. When you move to a new environment or a new country, the sights, sounds, and experiences seem new. After you’ve spent a week or month there, everything becomes ordinary to you. Everything becomes boring. Just like they were before you moved from your old environment. It’s hardwired into your brain to seek out new things. So, how does this help you sell more with customer testimonials? Some brands put testimonials on their sites and leave them for months. Some even years. It’s doesn’t make customer testimonials effective on your site. Change your testimonials on a frequent basis. It gives prospects who are still on the fence something to think about. It also reminds your current customers that your product or service works. Don’t trick customers into saying good things about your brand and put their quotes on your site. It’s a bad practice. Because a customer wrote good things about your brand doesn’t mean they recommend it. Let customers know ahead that you want to use their quotes on your site and ask for their permission to do that. Their testimonials should be based on their real experience with your brand. A testimonial shouldn’t be salesy. If it is, prospects may start questioning its authenticity. Testimonials should come from clients that prospects can confirm they exist. For example, Ahrefs uses quotes from real customers prospects know (and can confirm). If your product or service is great, customers will share it on social media. Social media has become part of our daily lives. It’s a place we share our thoughts with family and friends. Social media users are not shy about talking about brands. Some brands use social media for customer service. They know their customers are on social media. You can use GrowthFunnel to get people talking about your brand on social media. In the second or third step in your GrowthFunnel conversion funnel, you can ask your customers to share their positive experiences on social media. A great benefit of this action may be offering a 20-50% discount to customers. Customers get a discount for sharing your brand on their social media accounts. You get an opportunity to expand your reach. It’s a win-win. You can convince prospects to convert right there in your ads. Show them a story of a customer who has benefited from your product or service. Infolinks uses this strategy. They displayed an ad image of their customer and her story in one of their Facebook ads. What makes this ad extremely powerful is the real photo of the client. There’s always room for improvement of course. They could have gone further by including the client’s site. People want to hear opinions of other people using your product or service. By including a customer testimonial in your ad, you make your ad copy more compelling. Some pages are more important than others on your site. These important pages receive more visits. Some of these important pages also receive most new visitors. By placing testimonials on these important pages, you can improve conversions. You have multiple important pages on your sites that are doing extremely well in search engines and social media. Put testimonials on each of them. Ensure that visitors can see them. Testimonials won’t likely improve conversions on some pages on your site. Do an a/b test to see if testimonials are having any impact on a page. If the results are positive, keep testimonials on that page. However, if results are negative or the same, remove it. Putting testimonials on each page on your site will help you turn skimmers into buyers. StudioPress, a popular seller of WordPress themes, recognizes their home page as one of the most visited on their sites. They put testimonials on their home page. In addition to spreading testimonials across your most important and visited pages, you should also create a testimonial page. To prospects, a testimonial page serves as a place to show how others are benefiting from using your product or service. To your business, it’s a powerful page where you can establish trust and encourage potential buyers to act. The page also serves as another entry into your site from search engines. Search engines will index this page. The page should contain keywords, pain points, benefits, and features prospects are searching for in Google and Bing. Codecademy has a page dedicated to testimonials. They call it Codecademy Stories where people share their coding journey since signing up on Codecademy. 99designs takes an unconventional approach to designing its testimonial page. Users can rate testimonials on the site. They use a rating system we usually see on sites like Yelp and TripAdvisor. Hearing the voices of your customers may improve the trustworthiness of your testimonials to some skeptics. Written testimonials on your site are good. But video testimonials are better. They are hard to fake, and they seem more believable. Prospects get to hear from customers directly. Most of your customers may not want to be on camera. But you can help them feel at ease by setting the appropriate expectations. Explain the schedule for the day of the shoot, who else you’ll be bringing with you, and any other details you think they should know. Offer guidelines on what your customer should wear and think about before you come for a candid conversation. Make them part of the process. Provide customers with questions you’ll like to ask them. Let them answer questions with their own words. They should say how your product or service has contributed positively to their personal or business lives. Upload your video testimonials on YouTube and your site. Because you say you have happy customers doesn’t mean people believe you. They want to see the faces of those customers. They want to read from those customers. They also want to be sure those customers are real people. Photos make facts and statements more believable. HelpScout put the faces of their happy customers on their testimonial page. You can put the crowd on your side if you show them people who are using your product. Selling is easy when you use testimonials on your site. There are plenty of awesome testimonial examples that validates its essentials. Your product sells itself because customers are raving about it. Despite its effectiveness, very few businesses use it. Testimonials can help you steal a march on your competitors. But you need a powerful marketing tool like GrowthFunnel to help you convert visitors on your site. It’s free to start using GrowthFunnel.